Backthis is a great crowdsourcing landing page for funding your independent projects. 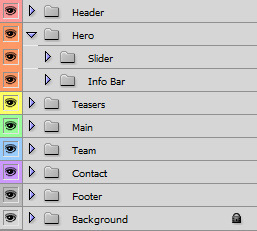 It has no functionality though, – it is meant to act as a design template. 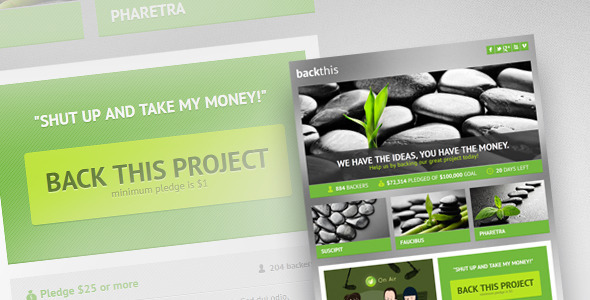 Tell people about your project and make them backing your project by pledging money. The template is coded in valid and well structured HTML5/CSS3 and with the included PSD you have all the power to completely make this template yours. This template has NO functionality concerning the process of pledging money – it is just a template! Also the contact form and is NOT functional. None of the stock photos used in the live preview are included in the download or are in any way part of this product!